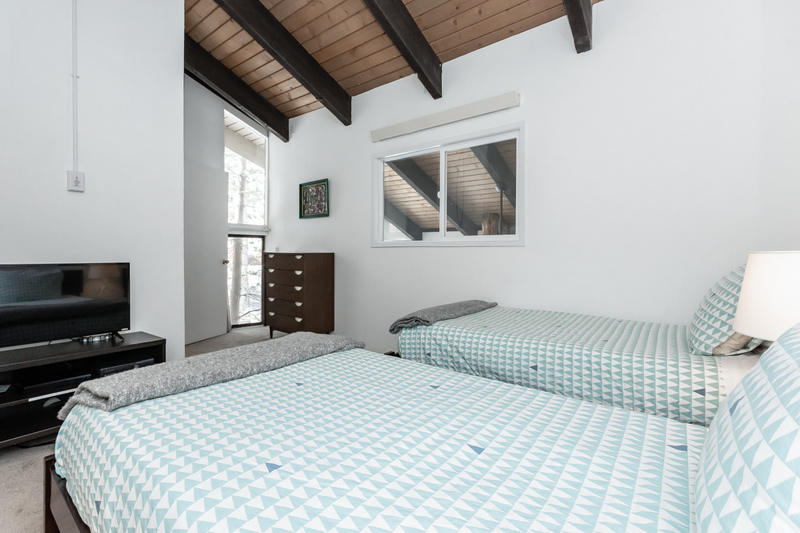 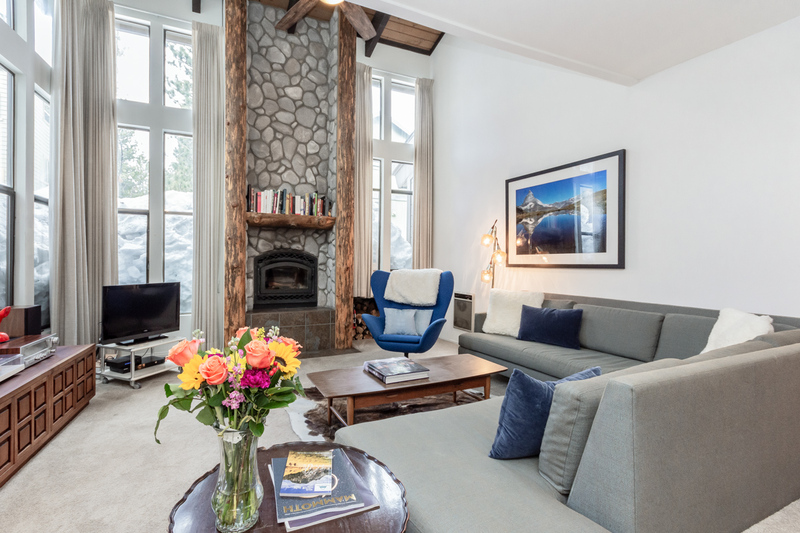 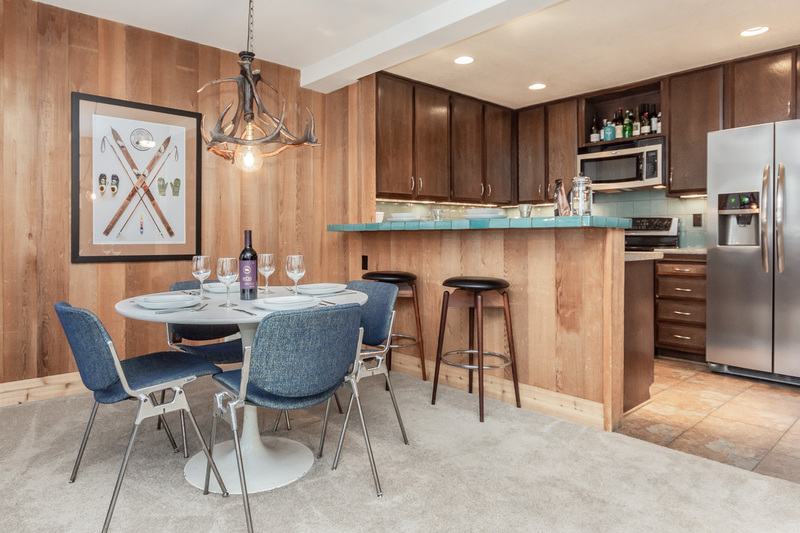 A peaceful escape on forested grounds, this 2-bedroom corner condo in the St. Moritz development offers a feeling of seclusion steps from the free ski shuttle to Eagle Lodge and a short stroll from restaurants, bars and entertainment in downtown Mammoth. 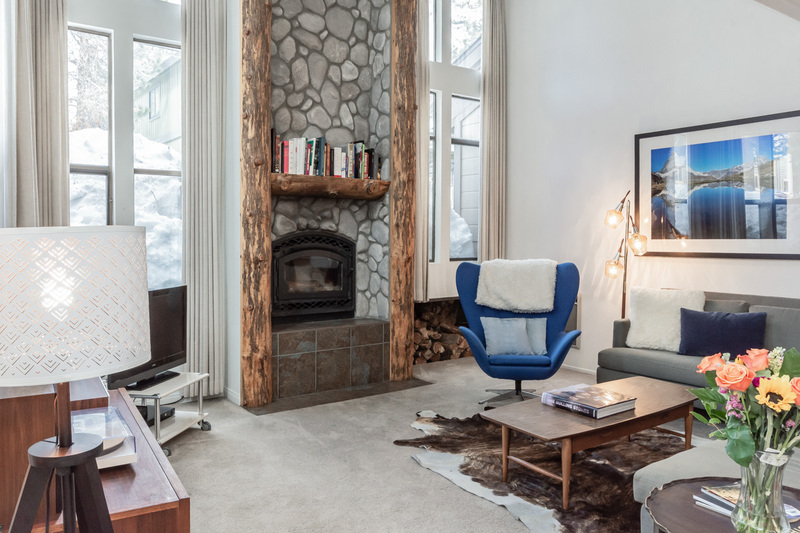 Tastefully imbued with vintage, mid-century modern furniture and original artwork, the home opens onto an expansive great room with soaring ceilings, a floor-to-ceiling stacked-stone fireplace, and tall picture windows revealing giant evergreens outside. 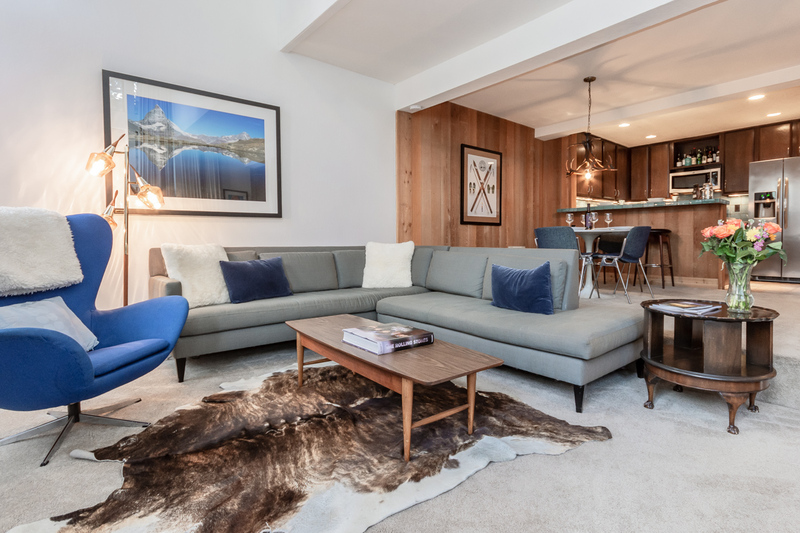 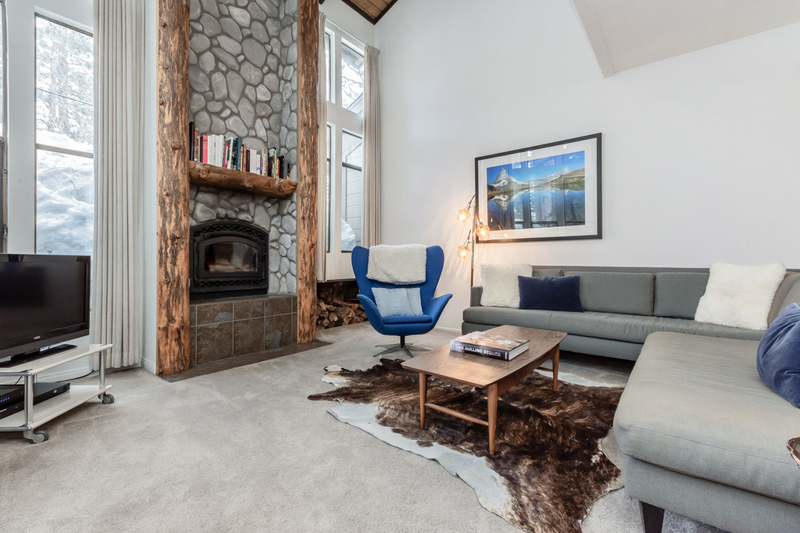 A slate, wrap-around sofa and cobalt, mid-century Swan chair frame a vintage hardwood coffee table and stylish bearskin rug, accented by bold, nature-themed artwork. 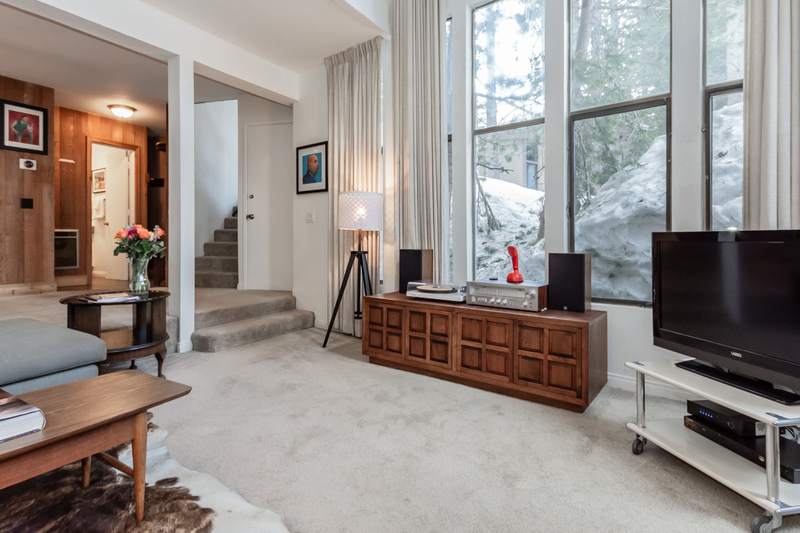 Gather with friends and family after a day on the slopes with a movie on the Smart TV or the warm sound of a vinyl record on the vintage stereo. 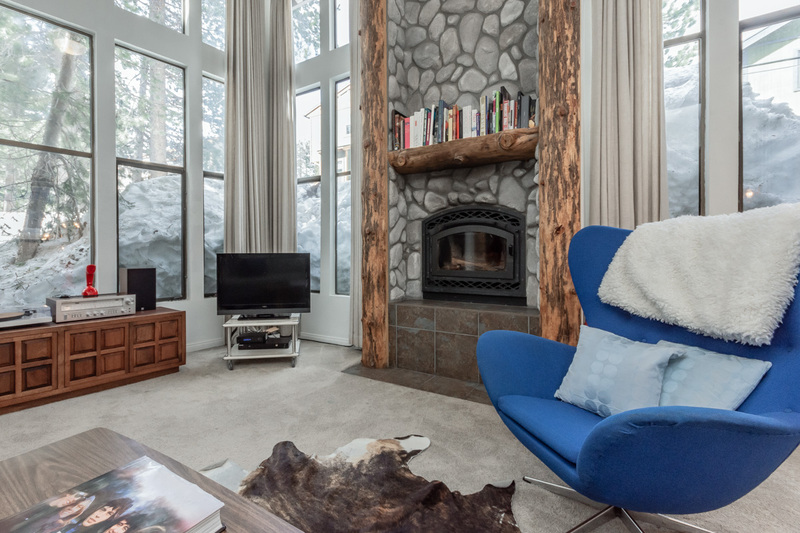 On off-mountain days, curl up in front of the wood-burning fireplace with a book from the unique log mantel shelf. 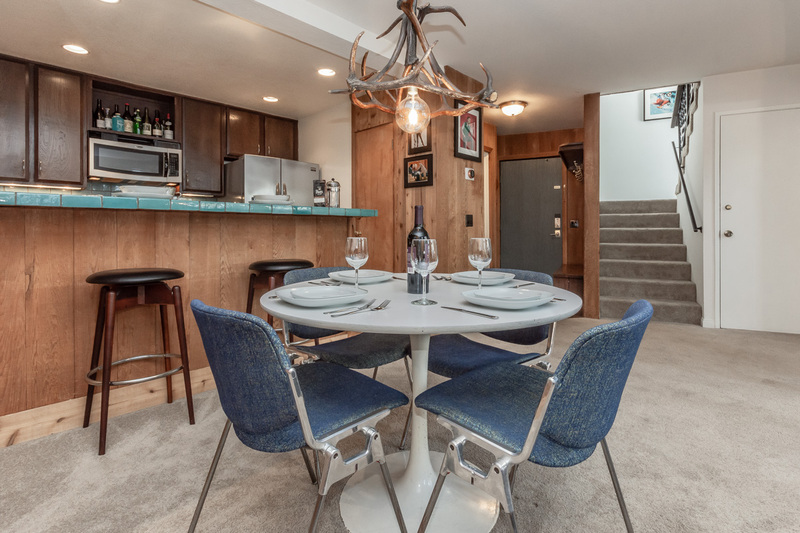 An open-concept floor plan marries the great room with a 4-seat vintage dining area, where mod and mountain decor expertly meet, with industrial-style chairs and a round mid-century table beneath a chic antler chandelier. 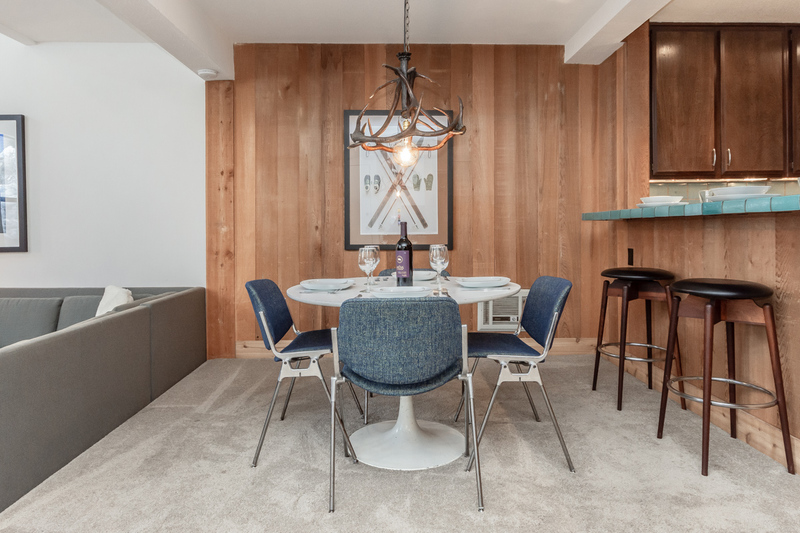 Two mountain-modern stools sit next to the dining table at a colorful, ceramic-tiled breakfast bar, allowing up to 6 guests to comfortably dine together. 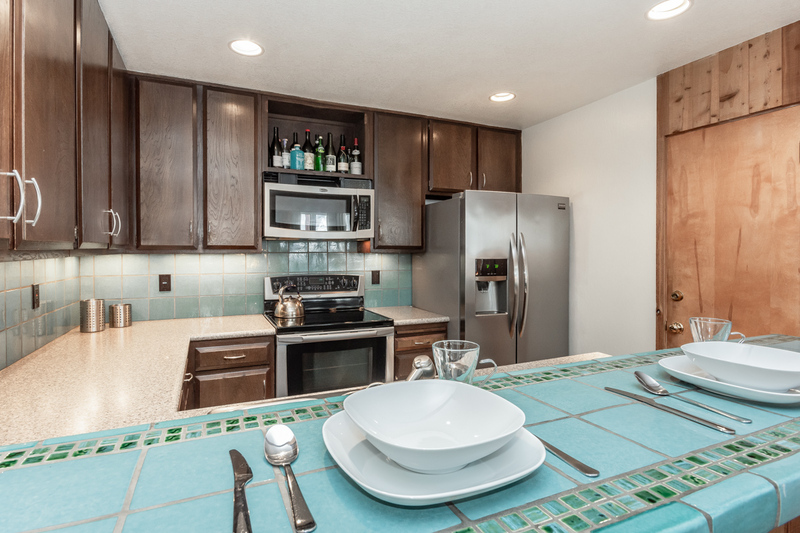 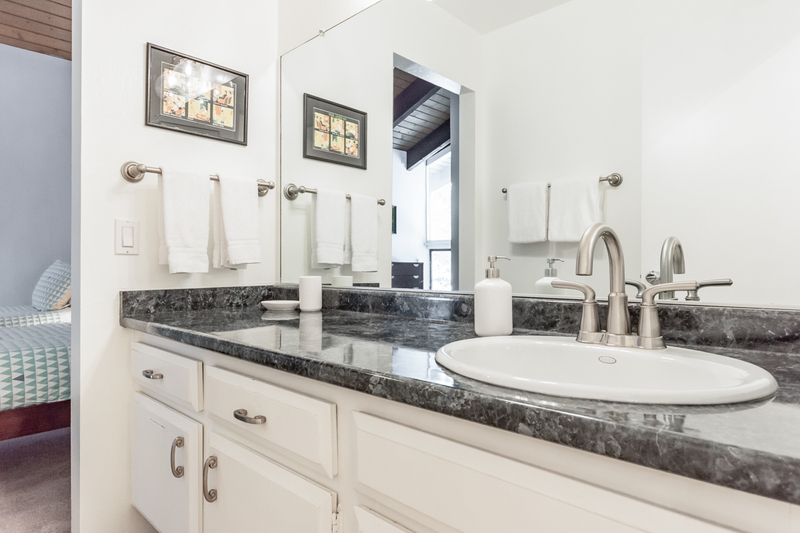 The gourmet kitchen, well-equipped for home-cooked meals, features stainless steel appliances and granite countertops. 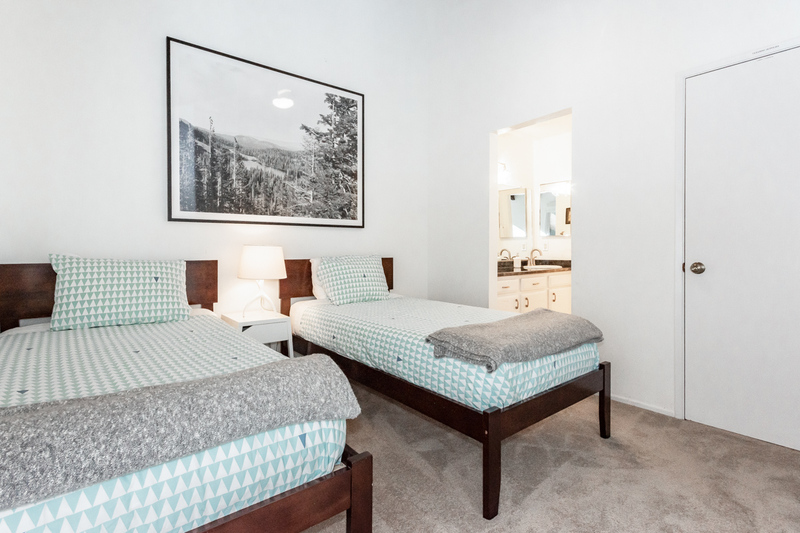 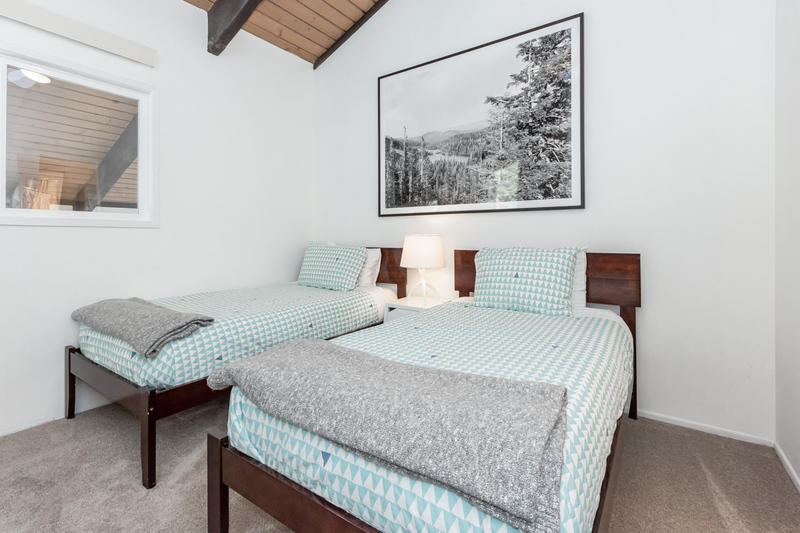 The spacious, loft-style bedrooms, located on the condo’s upper level, welcome guests with vaulted ceilings, picture windows, and stylish decor. 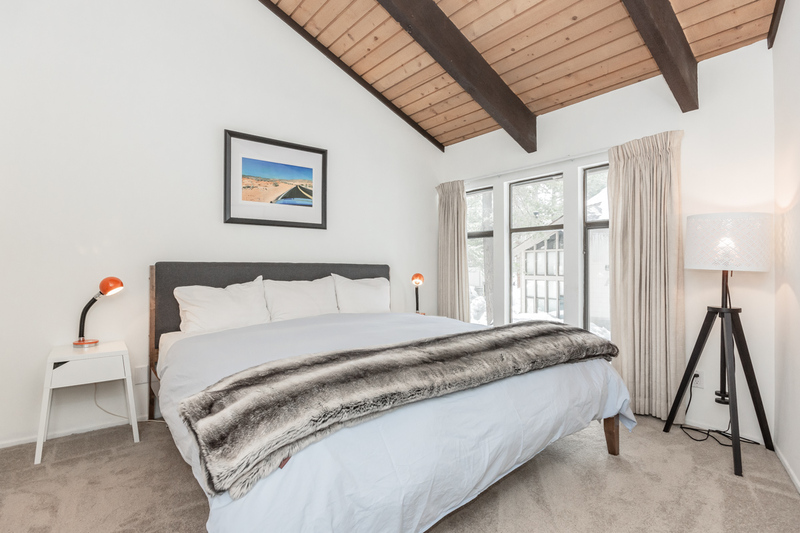 The master suite features a king-sized bed with a new Bear mattress, engineered to improve recovery from physical activity, while the second bedroom features two twin beds, mountain-modern decor, and a flat-screen TV. 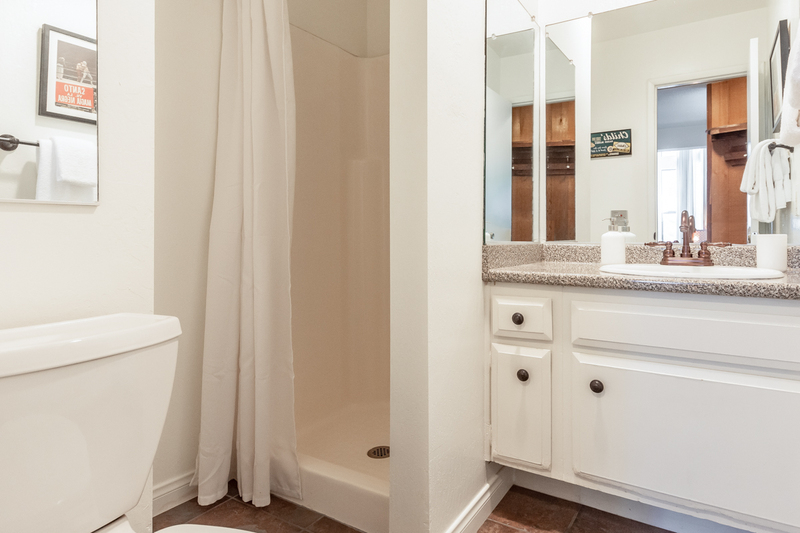 The bedrooms share an en-suite jack-and-jill bathroom. 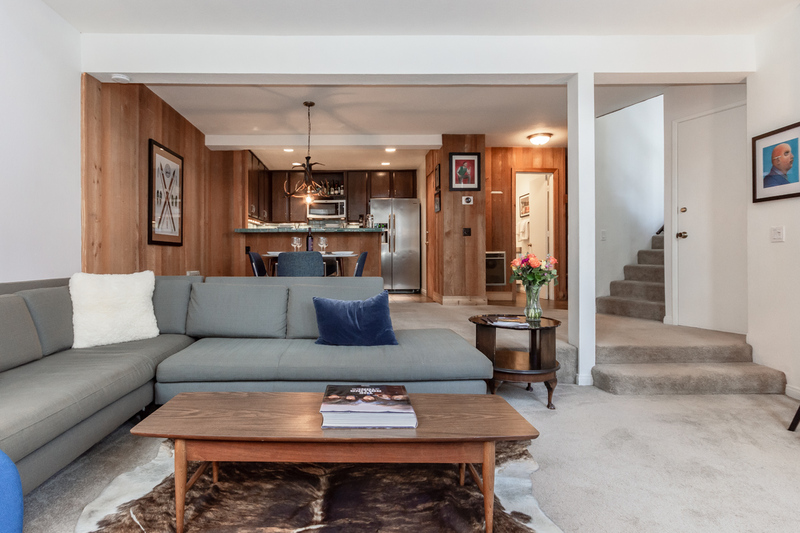 On the main level, a queen sleeper sofa and additional full bath allow this home to comfortably accommodate up to 6 total guests. 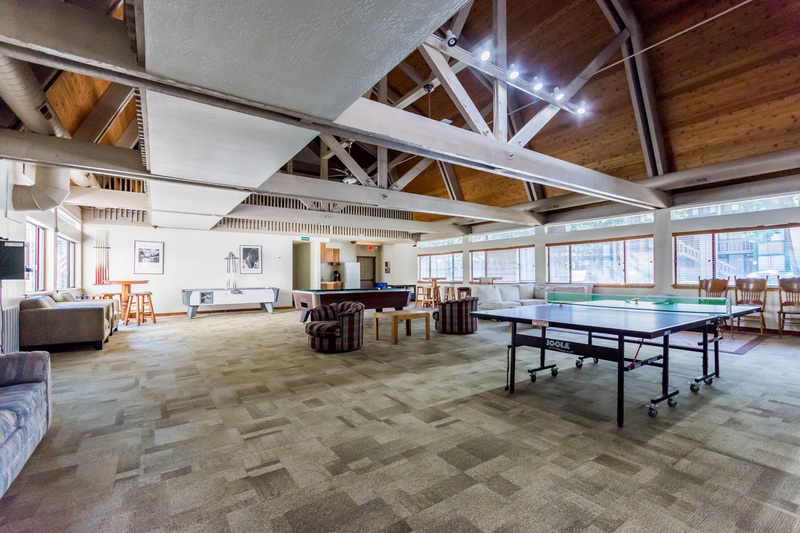 As a guest of St. Moritz, you’ll enjoy relaxing on-site amenities, including a summer-use swimming pool, year-round community hot tub and massive game room with ping-pong, air hockey and a pool table. 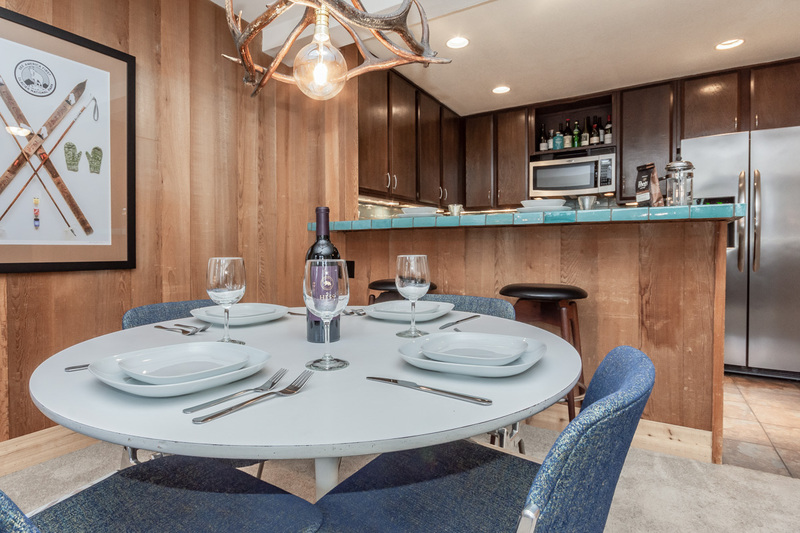 Outside, a shared park area offers a BBQ grill. 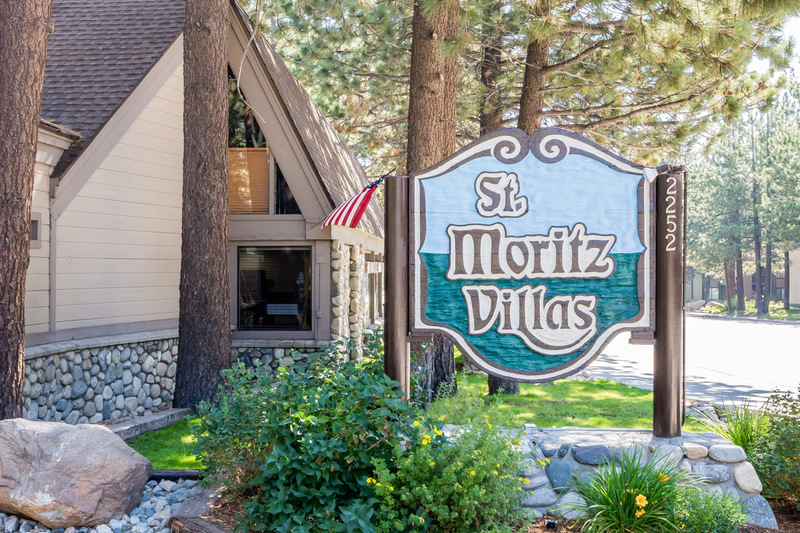 Set on a quiet location off the main road, St. Moritz offers a feeling of tranquility with easy access to Mammoth’s year-round recreation. 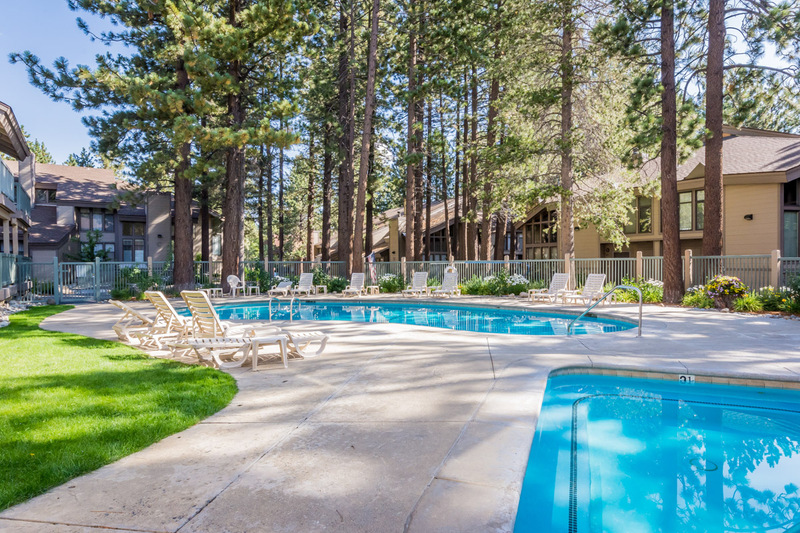 The ski shuttle whisks you to Mammoth Mountain in less than 10 minutes, and downtown Mammoth lies a half-mile away. 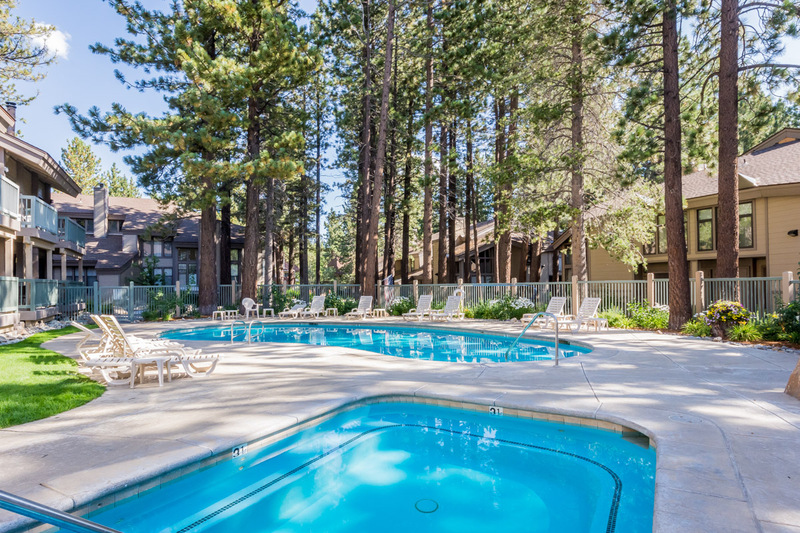 For adventures in the surrounding area, from golf to refreshing lakes, you’ll have on-site outdoor parking. 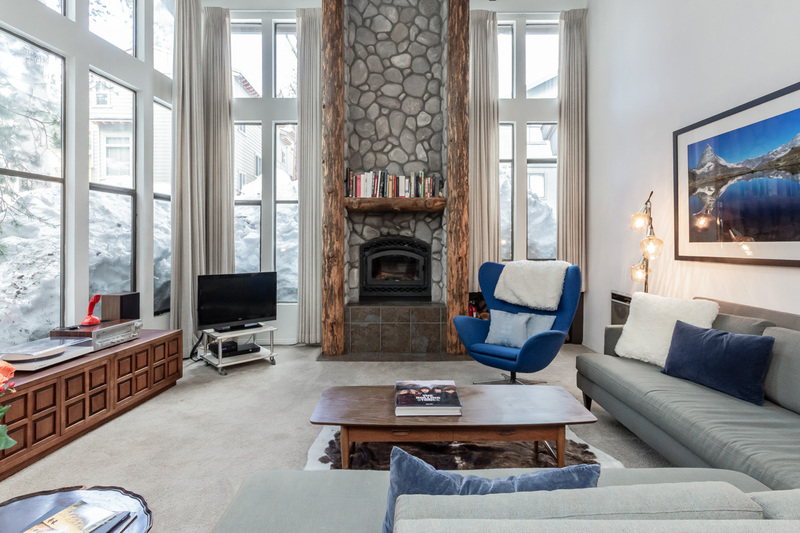 With its relaxing ambiance, on-site amenities and prime location near the slopes and downtown Mammoth, St. Moritz #9 is an ideal year-round escape for friends and family. 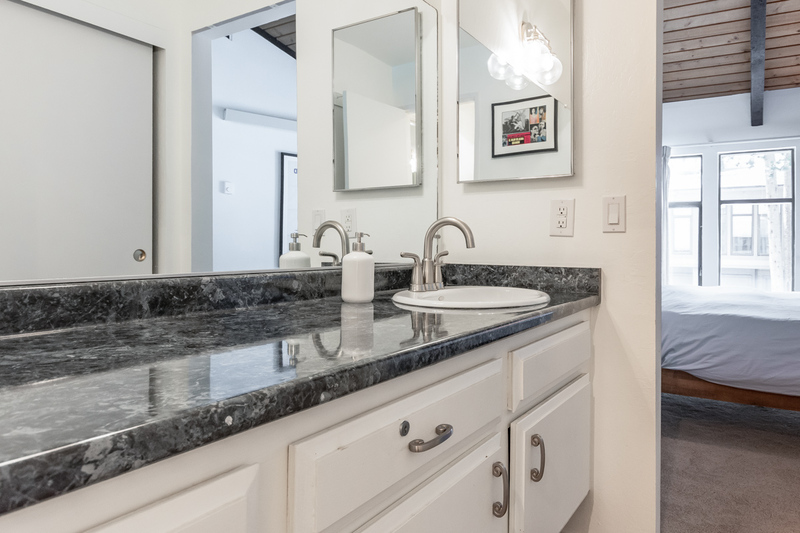 Please note that due to HOA rules, pets are unfortunately not allowed at his home.